I read many articles that millennials are going to rule the world of work and their familiarity and competency with tech will wipe out the old brigade (anyone over 50 you’re ‘out’) and we will have a new order. I look forward to that day as I have a son and he is a millennial. I was reflecting on the help that I received from my loving and generous parents when I started out at work. I remember they were practical with advice on transport, workwear and the gift of a briefcase. What is the new order for the parent of millennials? Well in my case I’ve always kept abreast of latest trends and perhaps fortunate that I work in the tech industry so that is easier done. The world is digital and one way to earn money is to consider what digital opportunities you can create. So in my case, the shiny briefcase that sent me off to work is now a relic. The new shiny object is a digital business. So as a millennial parent where do you start? What are my resources, money, time, and expertise? Do I have real interest in a digital business to sustain my involvement? What could I contribute that would be useful? At the risk of being indulgent I’ll get to the point. It is reported that is getting tougher for young people whatever their level of education to find work and government actions support that view. You can help them with a deposit for a house or subsidise their rent and perhaps support them to create a digital business. Think about it some more as you consider why the BBC is giving a computer to 1 million school children. Well done BBC. Is the millennial parent as I describe them simply the Bank of Dad or something more? I’m staying relevant by learning from millennials. I am happy to talk Facebook, Snapchat, Periscope and Twitter alongside my peers who talk LinkedIn and ‘so and so at the golf club’. 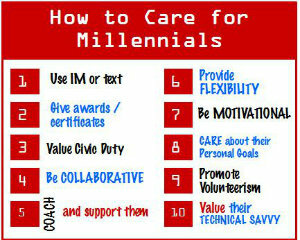 The millennial needs the resources, contacts and experience of the parent. I am not as redundant as some ‘it is all about the millennial’ suggest I am. It makes me happy and proud. This is just my own story and I’ve written it to encourage other millennial parents to share their stories. So what is your story? Tweet me at fboncloud. The digital business is up and running. Click here to see what we have achieved.